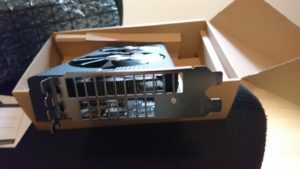 We have recently received some Sapphire RX470 8G Mining Edition GPUs, so here is the review ! This particular model is the Mining Edition, with 8gb of Hynix memory. There are models with Samsung memory, and we suggest you get those instead but they do have a price premium. 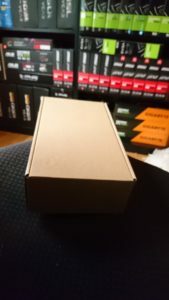 The GPU arrives in a brown box, like a refurbished item, even though it is new. The warranty is only 180 days in Canada – but it is our opinion that if they refuse RMA, you can sue them in small claims court, and you will probably win because warranty and consumer protection laws are independent of manufacturer warranty periods. Still, we can see that Sapphire is offering a product they do not wish to service after selling which we can understand why. Mining can be hard on GPUs without proper adjustments. 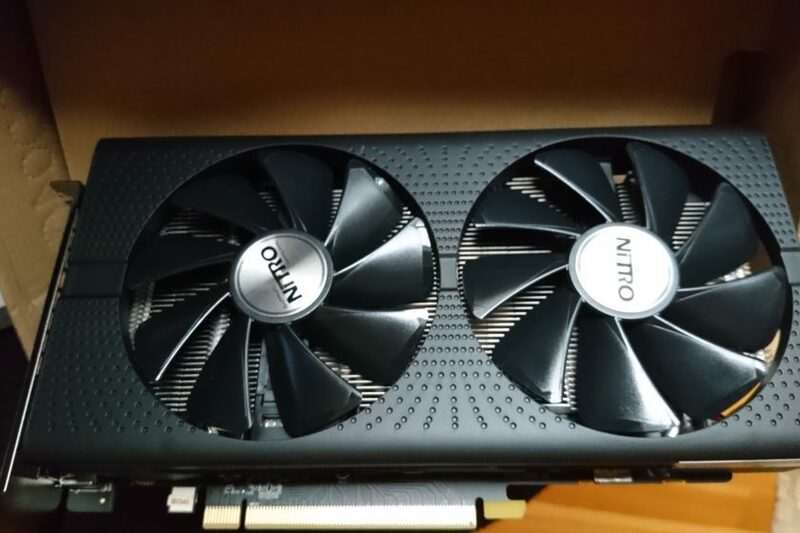 The GPU itself is very similar to the Nitro series, with thermal pads, dual fan setup and the sleek plastic shroud. The MAJOR difference is that there are no DVI, VGA, HMDI or displayport outputs…in fact there are none (which is no surprise). Now there is no real reason not to have an output, we can only speculate that Sapphire does not wish to see these GPU’s resold to gamers and depress further sales. In any case there is added airflow capacity with extra vents. Since this is a mining card, lets talk about mining. Using Claymore ETH Dual miner V10 and GPU-Z to check sensors, atiflash and PolarisBiosEditor 1.6 to change the Bios, we get decent results. 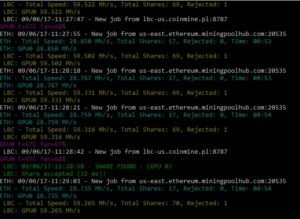 We achieved speeds of around 29mhs with 0 memory errors, 29.5mhs with some errors in HWinfo64 for ETH and around 60mhs LBRY while dual mining. Power consumption as read by GPU-Z (not at the wall) is a very respectable 82w dual mining with a core voltage of 0.83-0.85v on average. We achieve these numbers with a core clock of 1100mhz and a memory clock of 2085mhz. 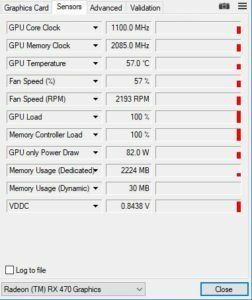 In our mining room (quite hot ambient temperature), the GPU stays below 60c with around 60% fan speed. The fans on the Sapphire are very efficient. ASIC quality is 72%. The Verdict: Hard to say. It is a good mining card, as you would expect from Sapphire. No difference as far as we can tell from the RX470 Nitro edition (which has all the outputs for gaming). The warranty is complete garbage, but then again quality is good so there is no reason to do an RMA if the cards are not DOA and properly tweaked. Availability is next to zero, as miners still buy up all the AMD cards they can find. So if you can find nothing else, sure go ahead. But you are paying for a product that has no resale value. A product that has little warranty. In CAD, we bought these for 329$, while we had bought the Nitro series (but 4G version) for 299$ a week prior. Compared to other 8G cards 329$ is a decent price all things considered. Is it a good mining card ? Yes, quite excellent. Is it a good purchase ? Well, I would buy a traditional gaming model before the mining edition model, unless you find a substantial price difference between the two. That was our review, hope you enjoyed it.